Spring, finally! And the promise of summer weather soon. Although it is still very wet – big, fat puddles and soggy grounds abound – we can see the flowers blooming and, from time to time, feel the warmth of the sun. We certainly have had lots of rain, but we all know that water keeps things green and growing. Water replenishes, restores, and helps with the seasonal transformation we are witnessing. 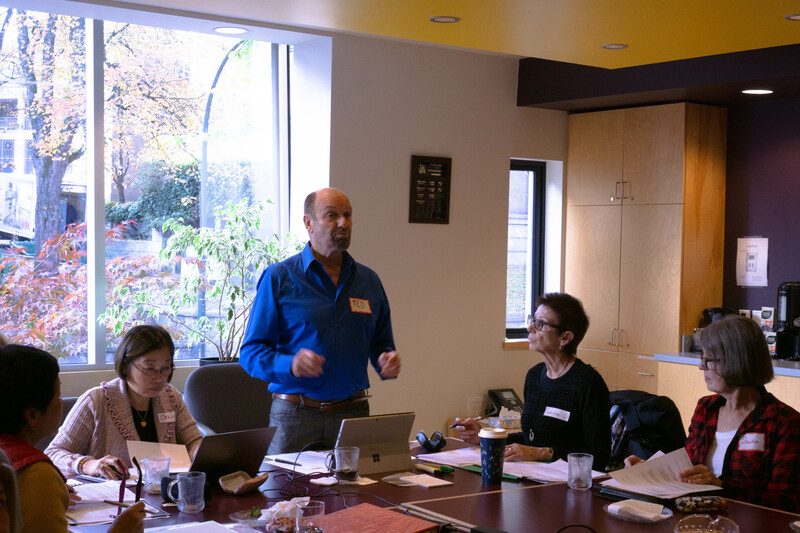 I was recently at a meeting with Kevin, president of the BCPVPA, about the new Mentorship Program that has been in the initial planning stages all year. Some government funding has been received and the program, in pilot form, will soon be more clearly defined. Applications will be available – likely in the fall – and interested, recently-retired administrators will be encouraged to apply. Training in mentoring new principals will be part of the initial process. If you’d like to be involved, please watch for further information. We’ll post it on our website and send out a MailChimp blast as soon as we have details. This is the final newsletter of the 2016-2017 year and I would like to show my appreciation for the executive who have worked alongside me this year. Ted, vice-president, has accompanied me to Chapter Council, been a member of the scholarship committee, mentored Lanny into the treasurer’s role, and been a helpful sounding board; Lanny, social and treasurer, has provided delicious and varied refreshments for our meetings as well as learned the ropes of being treasurer; Vivian, past president, has offered friendship, solid advice, and guidance; Graham, communications, has worked tirelessly to provide our members with an excellent newsletter, notices of meetings, and has been the guiding force for our new website; Gerald, pensions, has provided us with up-to-date news about our pensions and benefits as well as working alongside Roy in developing our affinity partnerships; Christine and Jeff, scholarship committee, have provided us with the names of scholarship recipients after reading through the applications and making the difficult final selection; Leanna, membership, has sleuthed out all of our members for whom we did not have accurate contact information; and Linda, secretary, has capably taken minutes at meetings and helped with the mail out of newsletters. 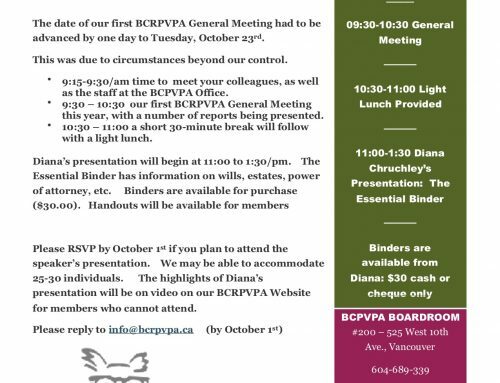 Also, thanks to the BCPVPA staff who do so much for us and whose space we share for most of our meetings. Their helpfulness and support is generously given and much appreciated. And, finally, thanks to the members who have written articles for the newsletter over the year and to those who have taken the time to write about concerns as well as to share good news. Some news about the 2017-2018 executive: both Linda Meier and Roy Sakata will be leaving the executive due to other pressing demands. 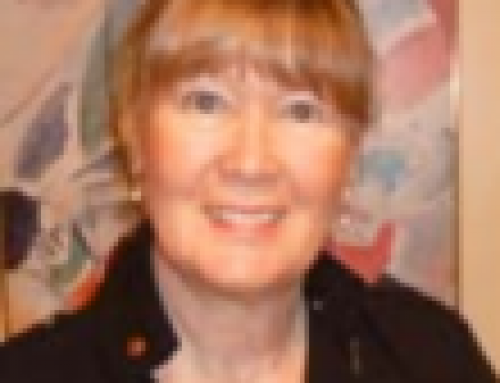 We welcome Gerry Tiede, Celina Mau and Allan Buggie who were elected as Members-at-Large at the AGM on May 3. Gerry is also an active executive member of the RTA and he will share a position with Gerald Soon. It is not too late to donate books for our Book Sale. 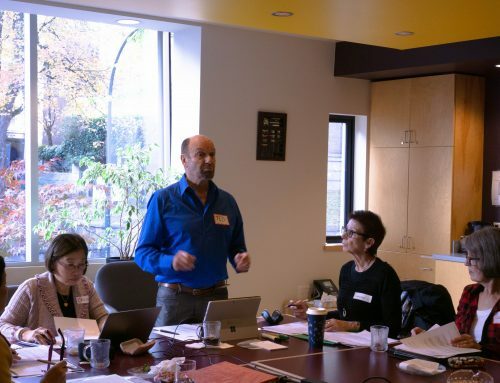 Once again, this year, we will be selling used education and leadership books to new and re-newing principals and vice-principals who are taking Short Course at UBC in early July. This is a service to both our members and to new administrators. You get to feel good about clearing your shelves and knowing that your much-loved books will be in good hands. The purchasers take home useful books at a reasonable cost. We all benefit because the proceeds go into our scholarship fund and help support the next generation of leaders. Book donations, marked for the BC Retired PVPA, can be taken or sent to the BCPVPA office – #200 525 West 10th Avenue during the months of May and June. Thank you – even the donation of one book helps! Our scholarship applications are available from our website bcrpvpa.ca If you know of a worthy student, graduating from a BC public school this June, please let him or her know that we give four scholarships of $1000 each, in the fall. Applications are due the final Friday in September i.e., Sept 29, 2017. We particularly enjoy supporting students who might not be able to continue with their post-secondary education without this funding. And, we are pleased to support any post-secondary program: skills, trades, arts, vocational, technical, or academic. Please keep us informed of any changes to your contact information. With our membership spread throughout the world, we can only communicate with you when we know how to find you. Also, it is a good idea to keep checking our website for opportunities and developments. Also, please check our website for our 2017-2018 meeting dates. If you live out of town and are planning a trip to Vancouver, perhaps you will find that you can arrange to be here for one of them. 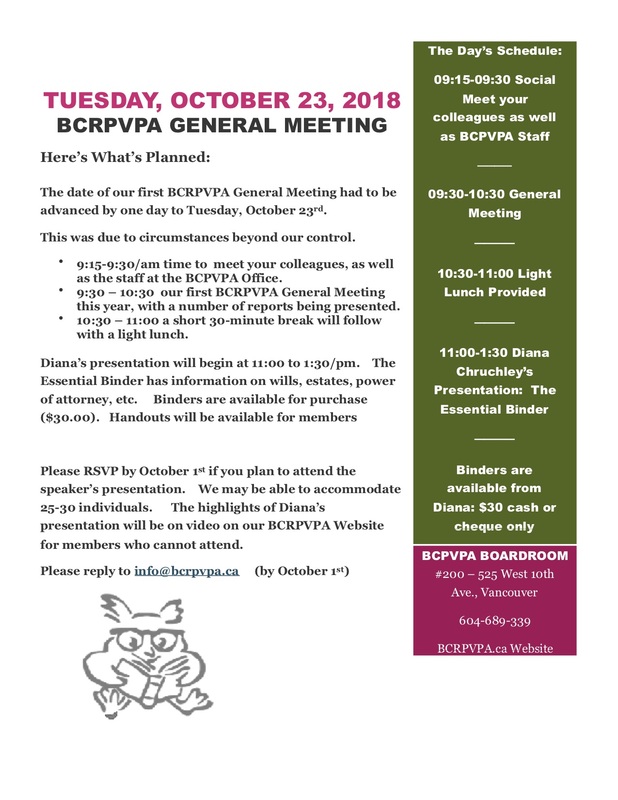 If you live in the lower mainland, please mark them all on your calendar and try to attend. Best wishes for a happy and healthy summer. See you in September!